Mrs. Nicholson Home is now closed. Thank you to everyone who visited our shop in the past six years. 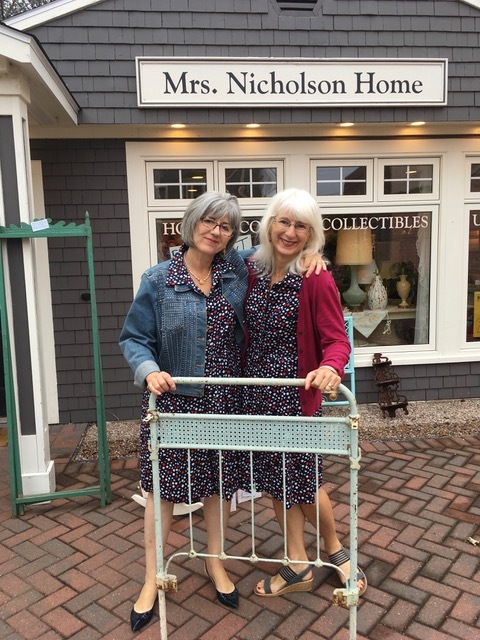 The opening of Mrs. Nicholson Home was the realization of a long-held ambition…a vintage home décor store on Canada’s oldest streetscape….St. George Street in Annapolis Royal. Together – because neither of us could do it alone – my sister Christine and I created a beautiful and welcoming little store, full of pretty things that were given a second chance at a useful life. We operated MNH for six summers – from July of 2012 to late September of 2017. Closing Mrs. Nicholson Home, and saying goodbye to our wonderful customers and friends, was bittersweet. But life moves on and so have we, secure in the knowledge that we contributed to not only the economic well-being of Annapolis Royal, but also to its reputation as a friendly, caring and thoughtful place. We thank you for the memories….